If you want to sell a damaged car, one way is to sell the car on salvage exchange but you should be aware that this is a lengthy process and requires a lot of effort. You have to place the car ad on yourself and no one can guarantee that he/she will buy your car. Moreover, you might face fraudsters who look to buy your car at a low cost and will try their best to trick you with a fake car selling deal. At CashAnyCar.com, one can sell an accident damaged car in a short period of time and at the best price. The process of selling a car to the company is simple and does not require a lot of effort. You can evaluate your damaged car and book an appointment with the company’s team to get your car sold. The company is providing its exceptional services across the UAE and a number of sellers are selling their cars through its platform. With this service, you can save your time as well as avoid yourself from the hassle of creating your own advertisement. All the seller has to do is to reach the company’s platform where we immediately inspect your car and pay you a better resale value. However, the online salvage exchange cannot offer you such quick service when you try to sell an old used car. Let’s understand how you can earn a better profit at CashAnyCar.com by selling your damaged car. A car can receive considerable damages even with minor accidents that consume time and a lot of money when you take the car for repair. It is always recommended by leading car experts that you should first evaluate your accident car and if its repair cost exceeds the actual value then there is no need to repair it. This is the time when you should sell your accident car without any repair and sell it at our platform as it is a great alternative to scrapping or salvage exchange. The CashAnyCar.com is certified and RTA-licensed Company that buy the used vehicles through a safe process. The company is a perfect place to sell an accident damaged car and we also take care of the post-sale paperwork thus relieving our clients from all worries of car selling process. You can use the online car value calculator on the company’s website to evaluate your car. This online tool efficiently utilizes the information provided by the seller and tells an estimated price. After getting the idea about your car’s price, you can book a free appointment at any of the company’s office to get your car sold. We buy all kind of cars as long as the sellers are willing to sell them and offer fair prices that suit the sellers. It does not matter if you are having a totalled car or you want to sell an old used car, just bring it at our platform and we will buy your car in a short period of time. Also read: How is CashAnyCar.com the Best Place to Sell Car Online? How to Sell a Damaged Car? Sometimes it happens very quickly and your car suffers an accident. It might be a major road accident where most of the car’s part damage or it might be a fender bender when pulling out of a parking lot. When your car suffers an accident, it cannot be said that this is an accident-free car and should be sold at a higher price. Different questions baffle your mind, for example, what to do with the damaged car, who pays for the disposal, how much is it still worth, etc. You might decide to repair your accident car and sell it afterwards to earn a better price. If the exterior of an accident car is repaired and you think your car is restored then you are at mistake. A buyer will always do the complete check-up of your car and if he/she finds any technical problem, it leads towards the collapse of car selling deal. One cannot say that car repair is a bad practice but if the repair cost exceeds the actual value then it is not a cost-effective solution. 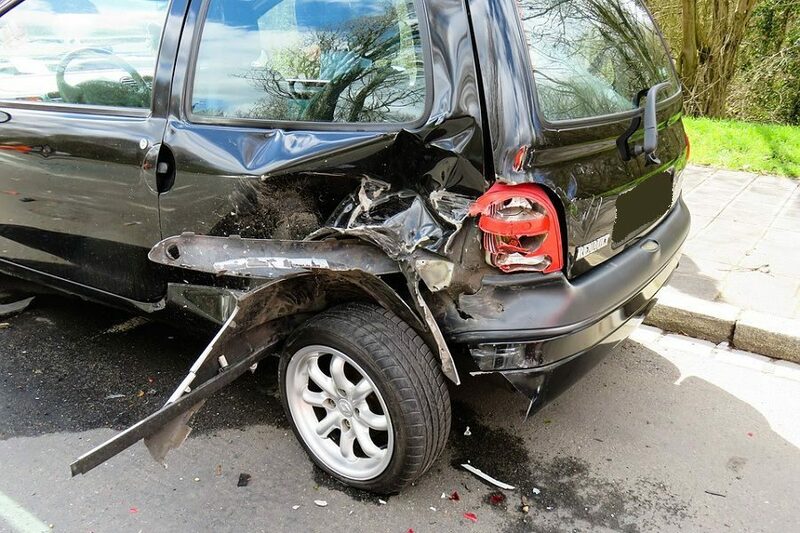 To sell an accident damaged car, you have to determine its actual value and advertise your car on salvage exchange. This platform cannot ensure you a better resale value and you left with no option but to accept a little amount of money. However, you can still avoid all these worries and sell your accident damaged car at CashAnyCar.com that offers you an ideal way to get the best price of your car without additional expenses and in a safe way. What kinds of Problems Can You face during Repair or Scrapping? 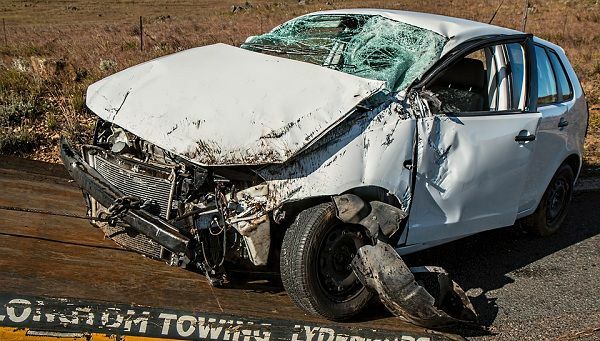 It is not always good to sell an accident damaged car after repairing it because if the repair costs exceed the car’s actual value then it is not a cost effective approach. One should always try to avoid any kind of trouble while selling an accident car to get a better price and if you go for a repair of your car then first analyse the total cost. However, there are some parts of the car that are expensive which you can repair (if there’s any possibility) to earn a better resale value, for example, engine, gearbox, etc. 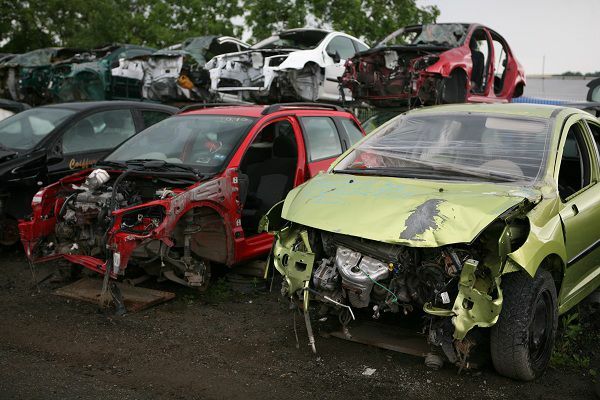 Similarly, scrapping is also not a cost-effective approach either, since there are fees that you have to pay to scrap your car. It is also difficult to get a better price from this process as there are a few buyers who pay little prices for scrap. So, instead of the actual damage, you can still sell a damaged car to CashAnyCar.com and can get a better resale value. Also read: Factors Influencing Used Car Prices Explained! What are the Advantages of Selling a Car to CashAnyCar.com? The platforms providing car selling and buying services have different advantages over each other. Some of them pay you a better price while other make the whole car selling process easier and take a little time. It is difficult to enjoy all of these benefits and others at any single platform. However, the CashAnyCar.com is where you can enjoy all these benefits and can safely sell an old used car. The CashAnyCar.com is a professional car buying company in the UAE whose hassle free services have earned it accolades from sellers across the region. There is no security risk one can face while selling the car to the company because it is registered with the authorities and follow a legal process of car selling. There is no dearth of skilled professionals at the company’s platform who make the car selling deal easier for you. You can sell a damaged car or a used car to CashAnyCar.com as the company buys any kind of car as long as the sellers are ready to sell. The services provided by the company are free of cost and you have to pay nothing while selling your car. Moreover, there is no obligation on the sellers and they can cancel the deal at any time. These are the advantages one can avail while selling an accident car to CashAnyCar.com. To sell a car to the company all you have to do is to fill an online car valuation form on the company’s website to provide important information about the car. This form elegantly evaluates your car and tells an estimated price. If you like this price then you can book a free appointment with the official car expert team of the company for physical inspection of your car or can simply walk away. The car expert team of CashAnyCar.com physically inspect your car within just 30 minutes and help you to sell a damaged car in a short period of time. This team clearly examine the car and tells you the final price that if you like, will lead to an immediate selling of your car. The company pays you through electronic bank transfer so you can safely go home with the money. This is the best alternative to repair and scrapping which do not ensure a better resale value. Moreover, the company also takes care of the post-sale paperwork. 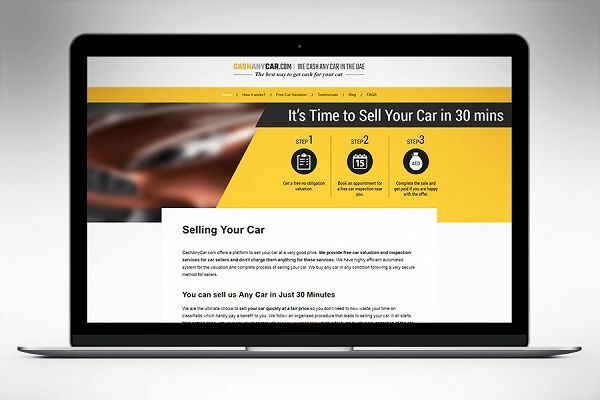 So, to sell a damaged car, the CashAnyCar.com is the best platform to sell it where you are paid a better resale value and in a safe way, you can sell your car. What Makes Selling A Used Car Process Easier In The UAE? How to Calculate the Current Market Value of Your Car?